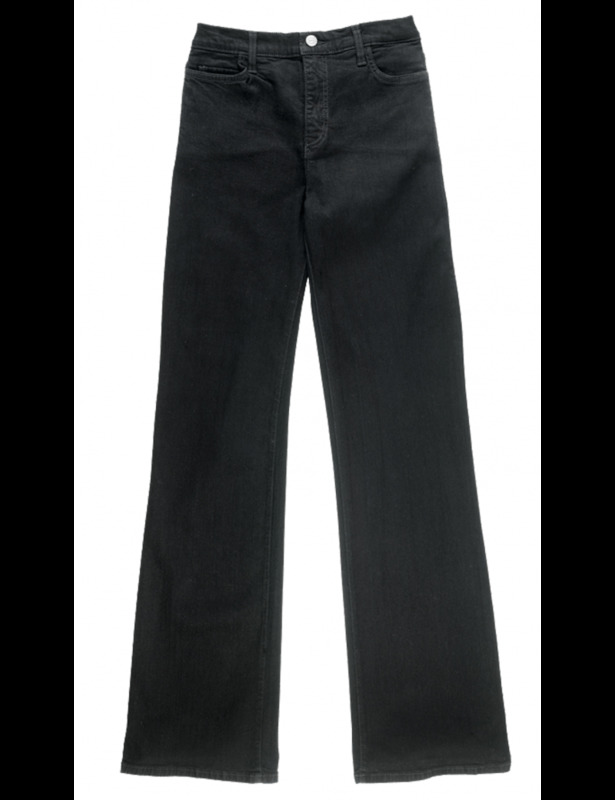 Black Sarah Classic Bootcut Jeans in super soft denim with a longer inseam for tall women. The jeans are cut straight through the hips and thighs with a boot cut opening of 20". Five-pocket styling, button closure, plain pockets and NYDJ's signature slimming fit.